Walt Disney Animation Studios, the studio behind “Tangled” and “Wreck-It Ralph,” presents “Frozen,” a stunning big-screen comedy adventure. 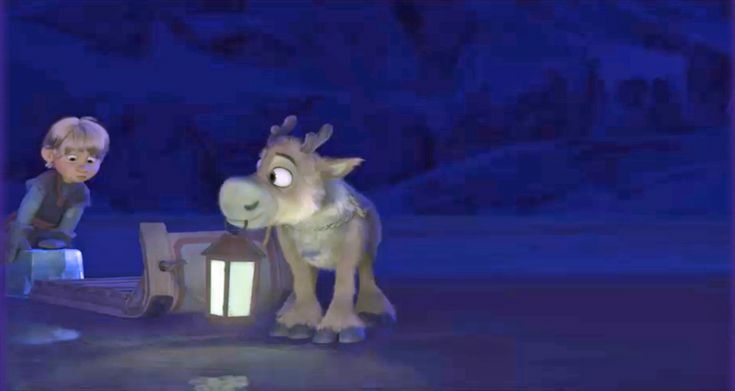 Fearless optimist Anna (voice of Kristen Bell) sets off on an epic journey-teaming up with rugged mountain man Kristoff (voice of Jonathan Groff) and his loyal reindeer Sven-to find her sister Elsa (voice of Idina Menzel), whose icy powers have trapped the kingdom of Arendelle in eternal winter. Encountering Everest-like conditions, mystical trolls and a hilarious snowman named Olaf (voice of Josh Gad), Anna and Kristoff battle the elements in a race to save the kingdom. I wasn’t planning on watching this movie, simply because it was Disney, and except for a few older movies and a couple of Pixar films, my family doesn’t really ‘do’ Disney (mostly because of the whole ‘rebellious princess syndrome’ that seems to permeate ninety-nine percent of their films). I’d known about Frozen for quite a while (because, really, how could I be on-line and not know about it?) but the trailer didn’t really impress me – it played the comic part of the movie up a lot, I must say. I did think that the songs were amazing, but I listen to songs from stuff I haven’t watched (mostly musicals), so that didn’t really mean anything. 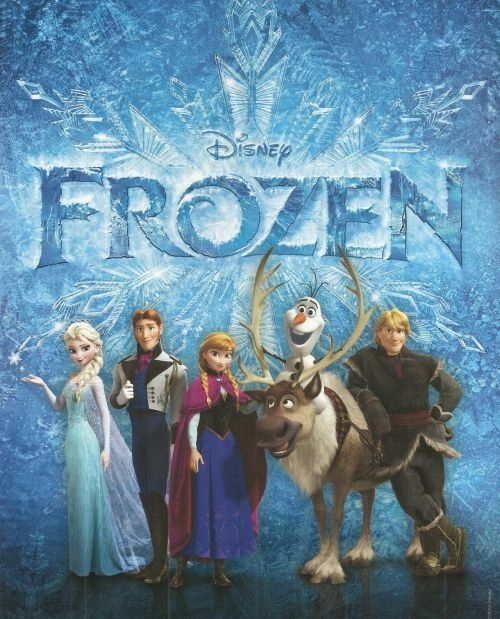 So, anyway, Frozen came out in theatres…and everyone was raving about it. Still, that didn’t mean anything, because most of the time, ‘the public’ goes crazy over all the wrong things (Twilight, anyone?). My Pinterest feed exploded with Frozen pins, and my friends kept talking about how much they wanted to see it, or, if they had seen it, how amazing it was. And it started to rub off on me. One day, I was randomly searching for stuff on Youtube, when I decided to see if the full movie was on there (not too likely, but still…). And it was. 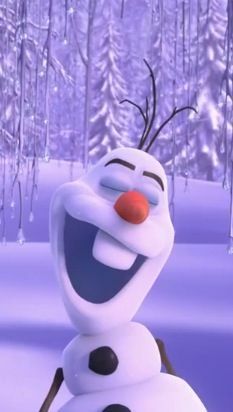 My favorite thing about Frozen, even more so than the songs, characters, humour, and beautiful animation, is that it turns the usual Disney movie formula on it’s head and breaks the mold completely (okay, maybe not completely, but you’ve got to admit that there are big differences). For one, there’s two princesses (I know that’s not really a big thing, but it is unique). One of the biggest things is that the ‘rebellious princess syndrome’ that I mentioned earlier is inverted. Sure, Elsa sings a ‘take charge of my life because I don’t need anyone’s help ever again’ song but like I’ll explain a bit later when I talk about the characters, ‘letting it go and testing the limits’ isn’t shown to be the best choice. Frozen also gave a new twist to the ‘love at first sight’ thingy (please tell me I wasn’t the only one shocked by the proposal at the end of ‘Love Is An Open Door’) which I think is awesome. 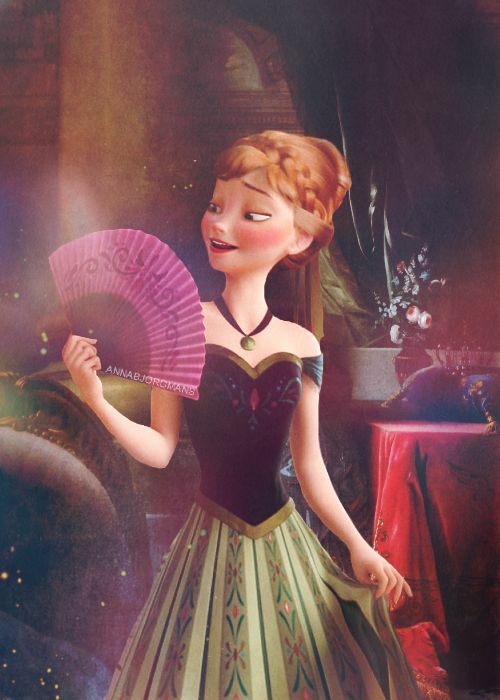 Anna (pronounced ‘AW-na’ for some reason) is the main character (in some ways, I view Elsa as a slightly lesser main character, if that makes any sense) and she makes for a delightful one. She’s very quirky and clumsy and just a little bit silly (“We finish each other’s-” “-sandwiches!”) and I loved her. She’s probably the first Disney princess to actually have a really good relationship with her family (Elsa, particularly) and the amount of effort and sacrifice and love she puts into keeping her sister safe is one of the best points of the entire film. Now, I know she falls in love with a guy and agrees to marry him all in one day, but, hey, we all make mistakes, right? (and I’ve got to admit that Hans was the biggest mistake she ever made) She was just hungry for the affection that her sister never gave her, so she fell for the first person who came along (literally…). 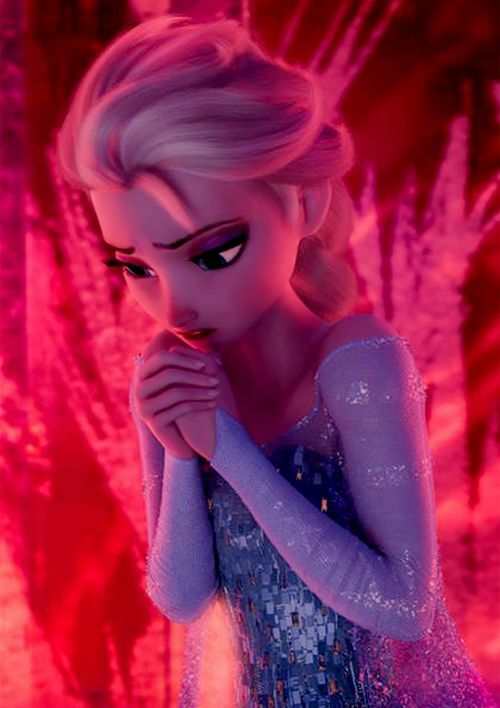 One thing that really spoke to me about her character was how right after Elsa froze over Arrendale, she immediately took full responsibility for her sister’s actions (since they were, in part, Anna’s fault) and set off to find her. Gotta love a girl like that. Elsa. Now there’s a complex character. The trailers all make her out to be this evil sorceress who purposely locked Arrendale in an eternal winter for…what? Revenge, or something? Actually, nothing could be further from the truth. From the time she was little, Elsa had the ability to create ice (the whole thing reminds me of a Shannon Hale book, even though her characters’ powers aren’t as physical – like in Princess Academy) which, though fun, was also extremely dangerous. So her parents locked her up in a separate room, away from Anna (which is how the two sisters got to be estranged). Anyway, the parents died, Elsa is crowned as queen and then in an argument with Anna over ‘you can’t marry a man you just met’, she accidentally unleashes winter over Arrendale (strong emotions cause her to, well, emote, but in different ways than other people) and consequently runs away. Now comes the rebel song – ‘Let It Go’. 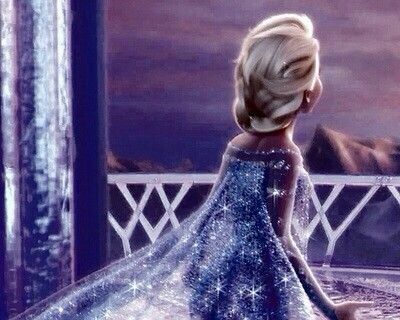 In the song, Elsa basically throws away her old life (“I’m never going back – the past is in the past!”) and the rules of right and wrong. But. She is still very much governed by the sense of right and wrong/her conscience. I think the reason she ran off like that was because she didn’t want to hurt Anna anymore, so, might as well do it dramatically 😉 But in the end, she still needs her sister’s support, because relying on her own power just causes trouble to escalate, in more ways than one. So, the lesson we can learn from that is – letting everything go is just as bad as concealing every single teeny emotion. And I think she reached a more than happy balance by the end of the film. Kristoff was the character who I was expecting to absolutely love but…well, it didn’t quite happen for me. I mean, I liked him and all (better than Flynn Ryder, which is saying something), but I don’t think he was quite as amazing as everyone else says he is (*cough*Petie*cough*). He was a lot more realistic than most of the other Disney princes have been (actually, I wouldn’t say he’s a prince, except he marries a princess in the end). Think, Prince Charming in Cinderella (what sort of a name is ‘Charming’, anyway?). 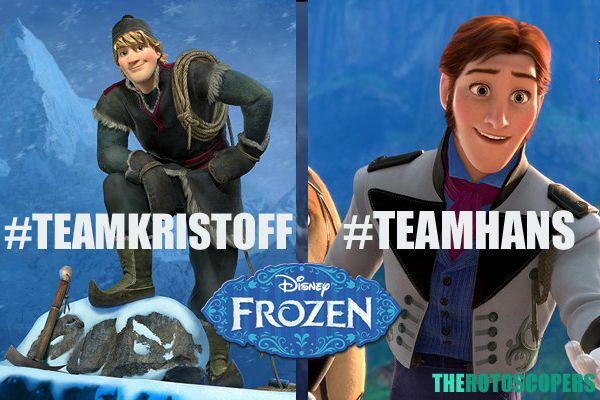 Nope, Kristoff is nothing like that. He a rough and tough ice-harvester who was raised by trolls (yes, trolls) and he practically has no social graces when he meets Anna (and for quite a while afterwards). Buuuuut, his actions near the ending were incredibly sweet, so he’s still on my list of favorite heroes (just not near the top). The songs were all great and since this is going on Broadway, I can’t wait to see what others will be added (I guess we shouldn’t have been surprised when we saw this was going on Broadway, since there’s about four Broadway stars voice-acting). Now, I’ve always skipped ‘In Summer’ ’cause it’s boring, and I also always skip (on the soundtrack and that) ‘Fixer Upper’ because, as Kristoff says, his troll friends are somewhat inappropriate. I mean, there was technically nothing wrong with this song, but it’s definitely my least favorite. The soundtrack score is also good, although I find it a bit bland compared to my other favorite soundtracks (the first few instrumental tracks are good, and the rest just sort of sound the same as everything else). So, anyway…this post is extremely long and I don’t want to make it any longer, so I’ll sign off now. Let me know your thoughts on this review and the film itself. My family doesn’t really “do” Disney, either… Not because we had anything against their movies, exactly. It’s just that I was raised with a bunch of boys and they weren’t interested and so I wasn’t either because I only liked what they liked/thought was cool. So I had this weird childhood without Cinderella, Belle, Jasmine, Ariel, Briar Rose and whoever else. I HAVE since seen some – Tangled, Little Mermaid, Aladdin, and The Princess and the Frog. Tangled is my favorite and I love it so much I kind of doubt any movie could replace it in my heart???? Anyway. 🙂 You said about rebellious princesses and I just thought ud point out that most of them aren’t that rebellious? Cinderella and Briar Rose certainly aren’t… Or Jasmine, either, really… Ariel is and I suppose you could say Rapunzel ius, too, but isn’t that a good thing? Tangled is an incredible film. LOVE IT. Just so you know, I wrote this review a long time ago, back when I still liked Frozen and had watched few other Disney princess movies. I don’t view many Disney princesses as rebellious (not as rebellious as I once thought them to be, anyway) and I don’t like Frozen anymore, so a lot of things have changed. 🙂 Thanks for your long comment, though – I love ’em. In the original fairytale that Frozen is based on, Elsa (or the Snow Queen, at least) was actually the bad guy and when Frozen was first getting made, Elsa was going to be the villain. It’s interesting how they changed it, though.